Waiting for the next debt crisis. 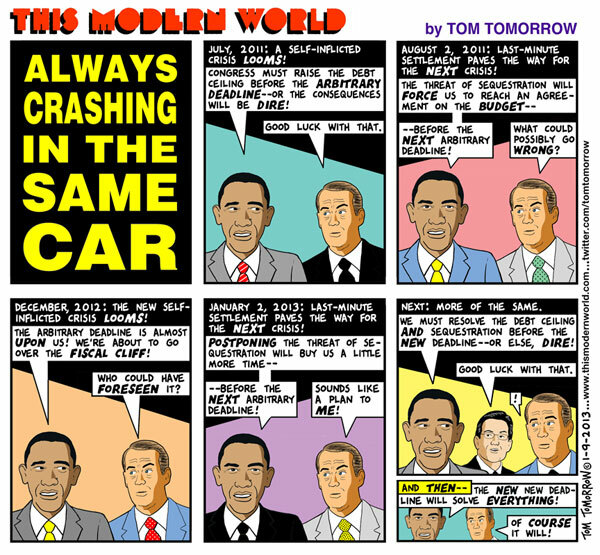 For more of the same, check out Tom Tomorrow's archives. Tom TomorrowTwitterTom Tomorrow is a 2015 Pulitzer Prize finalist, and the 2013 Herblock Prize winner.